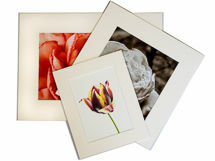 Images are printed using archival pigment inks. Mounts are in Daler snow white mount card with a white core. Trade prices are available on request. A range of 15cm x 15cm greetings cards printed on ultra white 300gsm card Blank inside. Supplied with white envelopes in clear packaging.